The dental field has come a long way over the years, improving patient care and comfort to exceptionally great levels with the help of new, state-of-the-art tools and techniques. At Young Family & Cosmetic Dentistry, Dr. Dan Young enjoys staying right at the forefront of this evolution. Our office is outfitted with several modern technologies that benefit every stage of the treatment process, from your initial diagnosis all the way to your satisfying results. Contact our Joplin, MO location today if you have any questions, or if you’re ready to schedule your first appointment. If you’re from nearby Arkansas or Kansas and in need of a better dental care experience, we welcome you too! Our CareStream intraoral camera offers the perfect way for patients to get an up-close-and-personal look at their own smile here in Joplin. This technology provides effortless image capture and highly detailed images that make sense to untrained eyes. Dr. Young can use these visual aids to more clearly explain areas of damage, potential treatment options, and much more. It’s our team’s goal to help you feel like a fully informed partner on your oral healthcare journey with us, not that you’re just along for the ride. 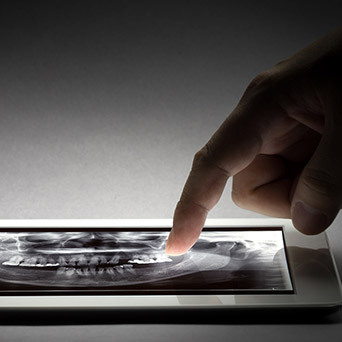 Digital radiography is a vast improvement over the traditional, film-based machine for several reasons, and Dr. Young takes pride in being able to provide these valuable benefits to his patients. 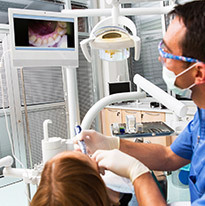 Instead of having to rely on hazardous chemicals and a darkroom to see under the surface of your smile, the high-resolution images we capture with our CareStream system are available for doctor and patient viewing within mere seconds. Better yet, the files can be transferred and stored much more easily – no unnecessary waste – and the amount of radiation exposure is greatly reduced for patient safety. The effects of TMJ disorder can be serious and debilitating, which is why Dr. Young utilizes several advanced tools here in Joplin for diagnosing patients’ conditions and determining the best course of action. 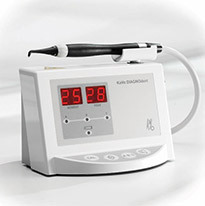 Our Joint Vibration equipment measures how effectively the TMJ is functioning while in motion by tracking the vibrations of any soft tissue and bone-on-bone grinding. Additionally, we use jaw tracking to catalogue jaw movements in a three-dimensional fashion, pinpointing the areas that show clear dysfunction. Headaches, chronic jaw pain, and other symptoms associated with TMJ disorder are often caused by an unbalanced or dysfunctional bite that’s putting extra stress on the surrounding muscles. By using a bite analysis scanner, Dr. Young can identify all of the important contact points among individual teeth and their relationships, essentially identifying the source of these troubling symptoms and showing where further treatment is needed. 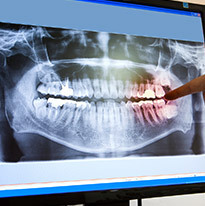 While digital X-rays are incredibly helpful for diagnosis and treatment purposes, they don’t always show our team the full picture we need for more complex cases. That’s where our state-of-the-art CareStream 9300 Cone Beam Scanner comes in. 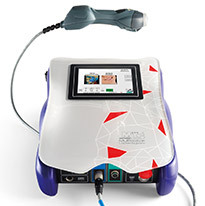 This powerful device creates versatile, comprehensive 3D images that provide exhaustive anatomic detail. Dr. Young utilizes this device to improve the accuracy of several important procedures he provides, including dental implant placement, TMJ disorder treatment, and obstructive sleep apnea treatment. Whenever possible, Dr. Young offers soft tissue laser treatment for a much more precise and comfortable care experience. This technique can eliminate periodontal infections caused by gum disease, aesthetically recontour the gum line, and provide other valuable services. 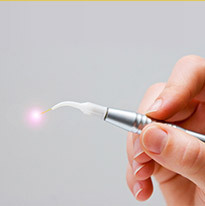 The laser energy provides instant sterilization, minimizes bleeding, and accelerates recovery time for patients. The procedure is so comfortable that many patients don’t even need anesthetic! Catching cavities at their earliest stages of development can spell the difference between a minor inconvenience and a more serious oral health concern that requires extensive treatment later on. That’s why our team uses the DIAGNOdent laser to scan the surfaces of your teeth and detect decay right away, even before it’s visible on the surface to the naked eye. The process is quick, painless, and extremely valuable in regards to our patients’ ongoing wellbeing! Patient comfort is always a top priority to our team at Young Family & Cosmetic Dentistry. That’s why Dr. Young provides revolutionary therapy with the MLS laser whenever possible. The laser works by helping to reduce uncomfortable oral inflammation and encouraging the body’s natural healing properties. This procedure is very safe and has no side-effects, and it can be successfully used in a variety of situations, including TMJ treatment, general pain management, and post-operative surgical care.